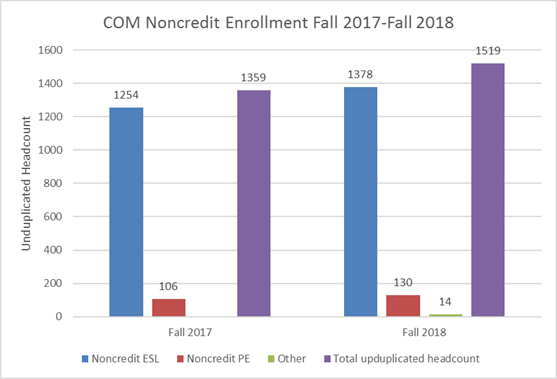 COM’s noncredit enrollment increased in fall 2018 from the previous fall. Looking at unduplicated headcounts, enrollment in noncredit PE increased by 24 students (19%) and noncredit ESL increased by 124 students (10%). Mostly, this increase was due to new students. A small part of the increase was noncredit enrollment in credit ESL courses.